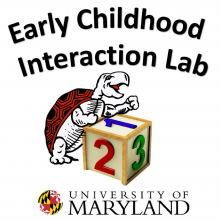 Welcome to The Early Childhood Interaction Lab Website! Our lab is directed by Dr. Geetha Ramani and is located in the Department of Human Development and Quantitative Methodology at the University of Maryland, College Park. We are also a member of the Infant and Child Studies Consortium at UMD. Our research focuses on understanding how young children’s social interactions with adults and peers influence their cognitive development. 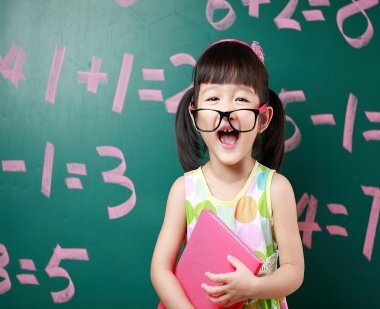 We are also interested in how play and informal learning activities can promote children’s thinking in the areas of mathematics, problem solving, and planning. We invite you to learn more about our research projects and our research team. Emily Daubert successfully defended her dissertation "Guided Discovery Activites Supporting Mathematical Understanding in Children". Congratulations Dr. Daubert! The lab hosted a successful Family Math Night at Dasher Green Head Start in Columbia, MD. Dr. Ramani was interviewed by the Center for Early Childhood Education and Intervention. Read the article to learn more!